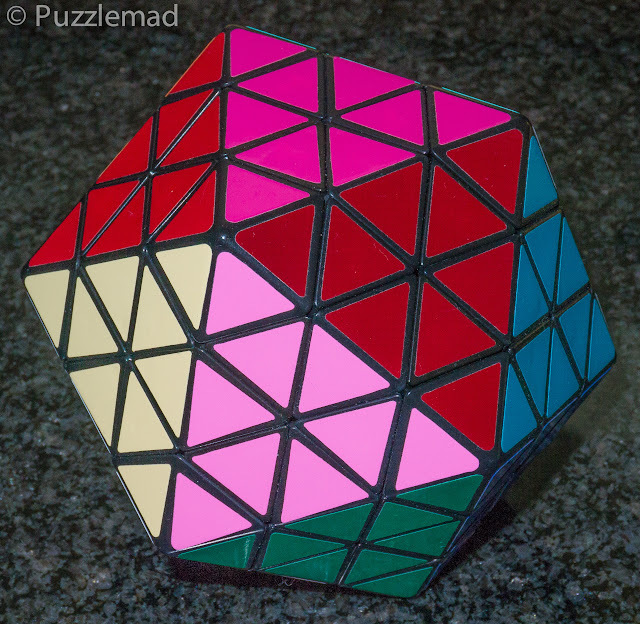 Puzzlemad New Additions: It was worth a Whack! Ouch! It was worth a Whack! Ouch! 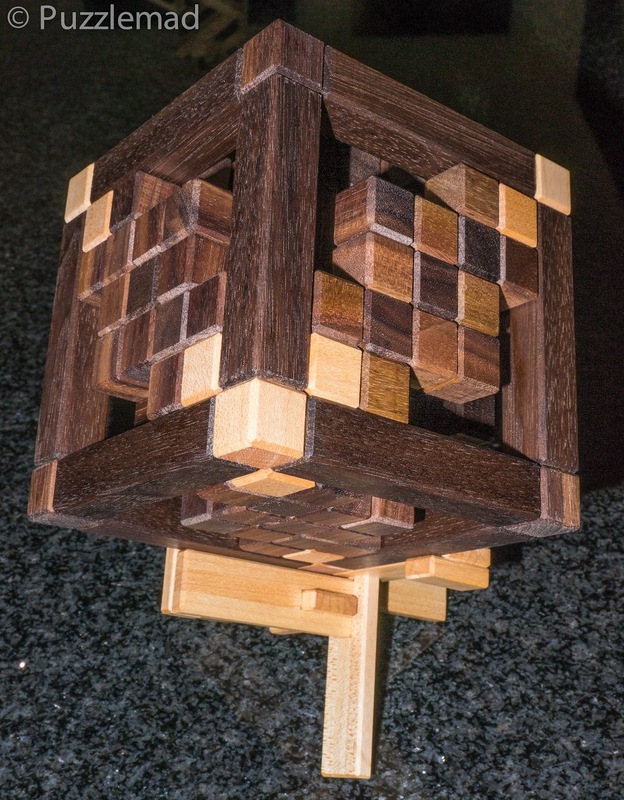 My good friend, Johan Heyns, in South Africa has recently restarted his hobby of making puzzles in wood and a few weeks ago he enticed us all on Facebook with pictures of his own design which he was going to produce in limited numbers if a few of us were interested. Interested??? Hell yes! It arrived on Thursday and was the first of two puzzle packages to arrive on the same day! Johan believes that no puzzle is complete without a stand to display it and it arrived as 6 little pieces of wood. I am slightly ashamed to say that it took me an hour to work out how to assemble just the stand! That is without attempting the main puzzle itself! The stand! At least I think that is how it should look! I should attempt the Canuck disassembly sometime soon. 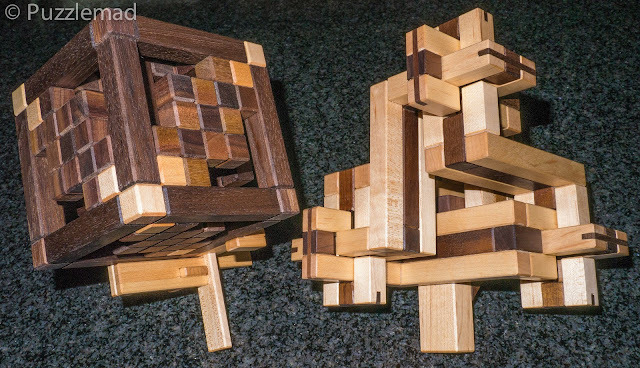 2 puzzles by Johan - The Really bent board burr and Canuck - awesome! When the second package arrived Mrs S was not impressed and it earned me a laser burning stare and a Whack! Ouch! Sigh! But it was worth it! Look what I got!!! 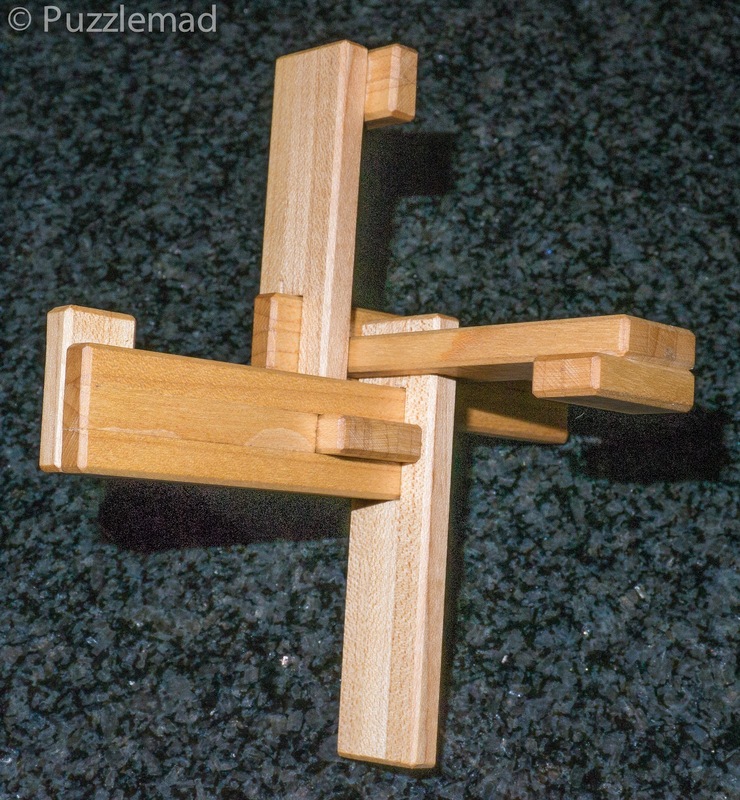 This is the Icosaix, designed by Oskar van Deventer and made by MF8. It is a face turning icosahedral puzzle (20 faces) which is like the amazing Eitan's star but has shallower cuts so has no centre pieces. It actually does jumble too but mine at least seems to become quite unstable when jumbled. I am proud to say that I actually scrambled it and solved it last night - it took me about 3 hours and I suspect that was a real fluke. It's not cheap at $99 but it is a very complex mechanism and definitely worth going in the collection. Don't tell Mrs S, but there might be a couple more on the way from ebay!